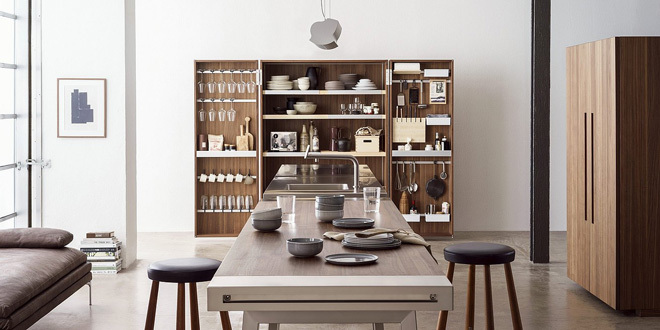 Ambiente Blog Ambiente Blog • Kitchentrends - Kitchens are for living in. Kitchens offer a mirror on societal change at a time when cooking is no longer a necessity so much as a lifestyle choice. Once the kitchen had taken territory from the dining room, the next step was to expand into the living room. 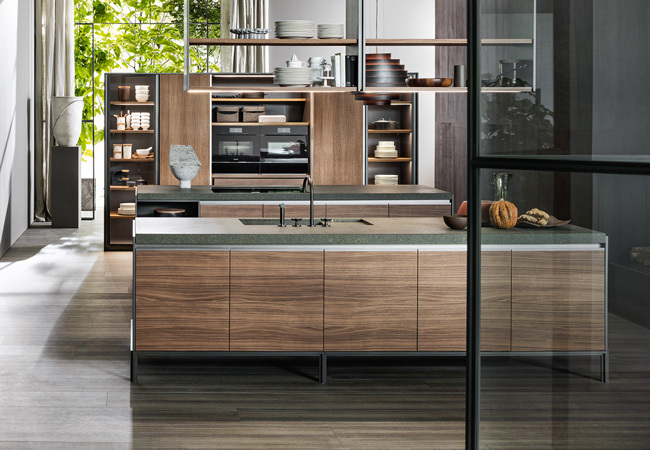 Kitchen manufacturers are responding with exciting innovations and an entirely new design language to make eating together an unforgettable experience. It’s a real paradox: although city dwellers cook increasingly rarely, they actually invite friends over to eat more often – and spend more on their kitchens. 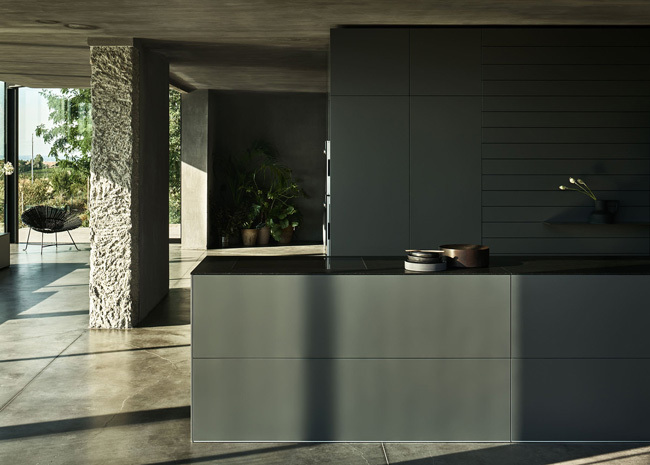 No longer must a kitchen be pared-down and functional: now customers are insisting on top-quality kitchens to match their high design aspirations. Since kitchens are becoming living spaces, our desire to personalise them goes far beyond choosing the doors for the units. New apartments are now often planned around the kitchen. Because cooking is seen as sociable, it is no longer performed behind closed doors, but is celebrated publicly – and in style. 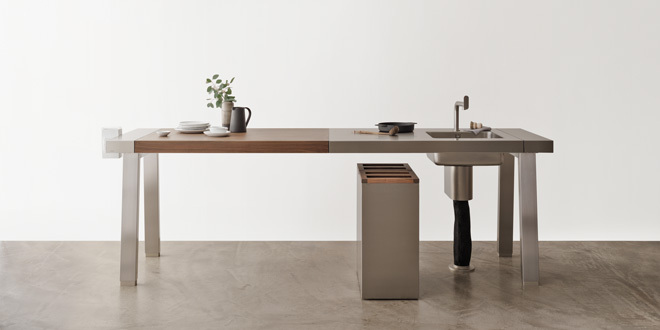 For instance, Bulthaup makes a combined dining table and island unit. The sinks incorporated in the table can be controlled separately, so you can keep wine cool and food warm. 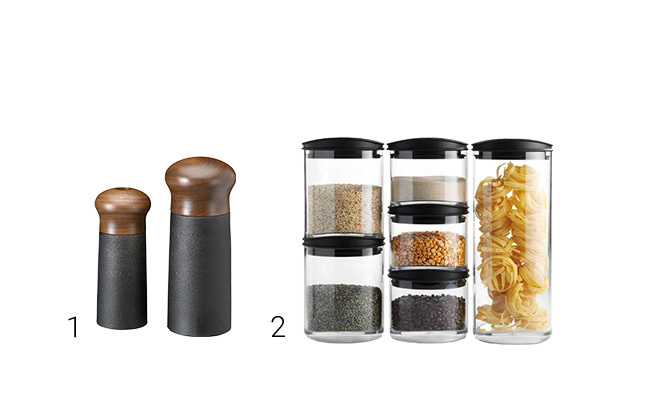 The herbs, spices and seasonings you need are kept on the table, while cutlery and accessories are kept in drawers. This approach involves your guests in shared evenings of cooking, rather than excluding them from meal preparation. 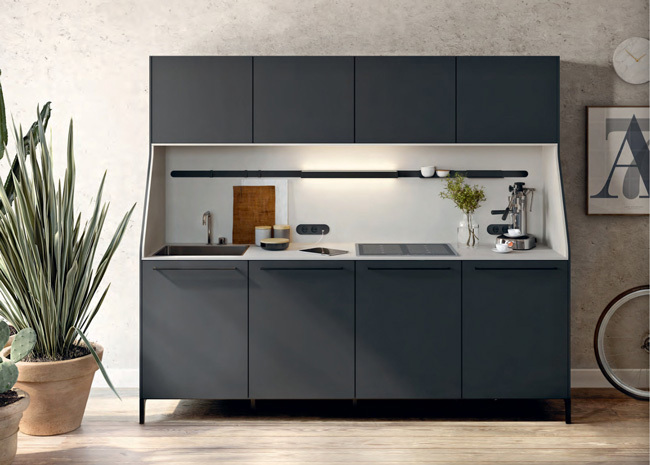 As kitchen manufacturers get bolder with their incursions into our living space, furniture producers are also making inroads into the kitchen. 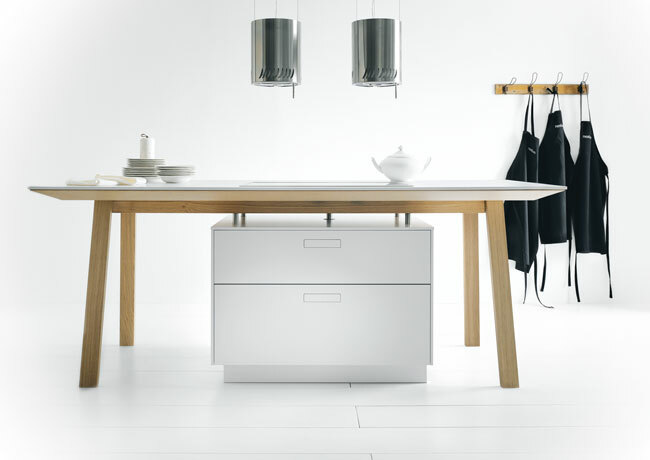 The Next125 cooking table, for example, is more than just a table. It combines dining table along with an induction hob. Yet the road to transforming the kitchen into a central living space needn’t be quite that radical. We have identified three main design trends: modular, new rustico and modern classic. The kitchen is now the heart of the home and is no longer confined to a fixed space, nor even to static walls. A compact kitchen works better than an extravagant kitchen-scape, especially in a small apartment. 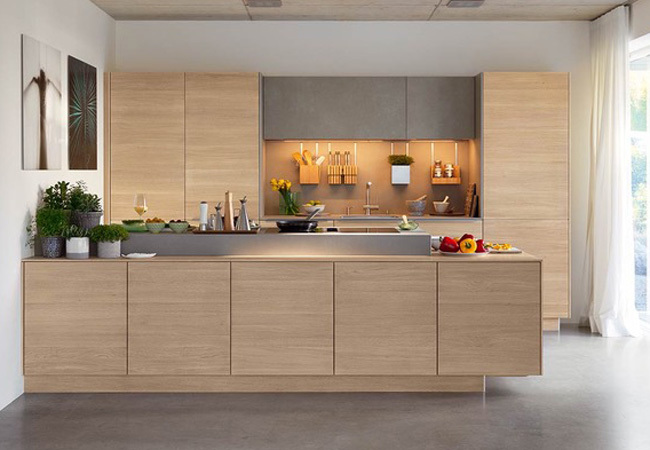 Some of these kitchens look like sideboards and can be combined flexibly, a real benefit for people who move house frequently. They offer as much storage space as you need and prioritise tidiness and ease of use by keeping everything within easy reach. Some manufacturers split the kitchen into three elements: a workbench (with water point, cooking zone and eating area), a cabinet for appliances (with oven and fridge) and an equipment cupboard (with the contents clearly visible). 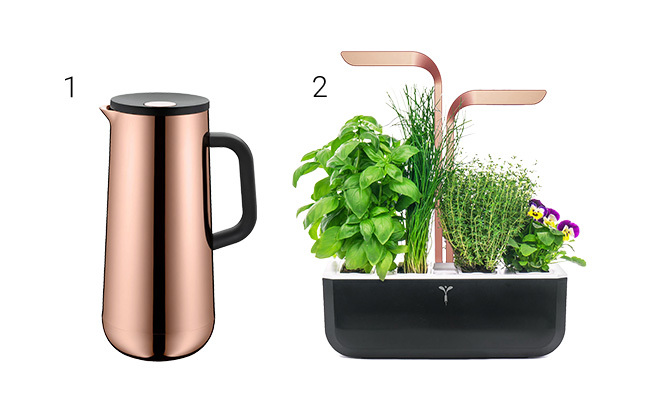 This makes your kitchen items into statement pieces: from sculpture-like glasses, to leather-clad Nespresso machines, rattan-coated thermos flasks and chopping boards that look like works of art. 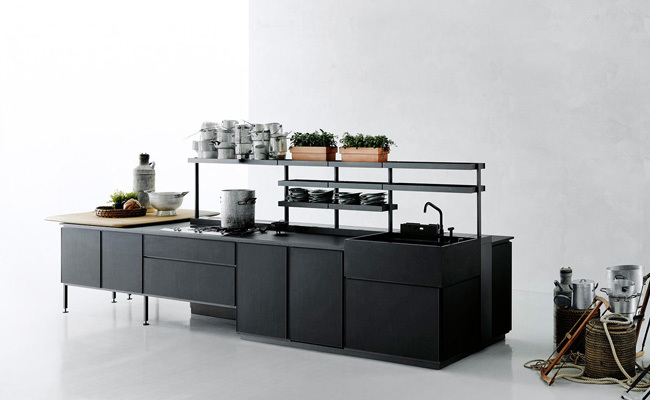 Another sort of modular kitchen stands on fine metal feet and almost completely hides its true nature. It works as a set of distinctive stand-alone items, offering not only space for a quick coffee but also room to cook an evening meal with friends. This new trend is also helping supposedly passé pieces such as the kitchen cupboard make a comeback – but in a modern guise. Tailor-made solutions can often be configured according to user requirements and combined with other furniture. 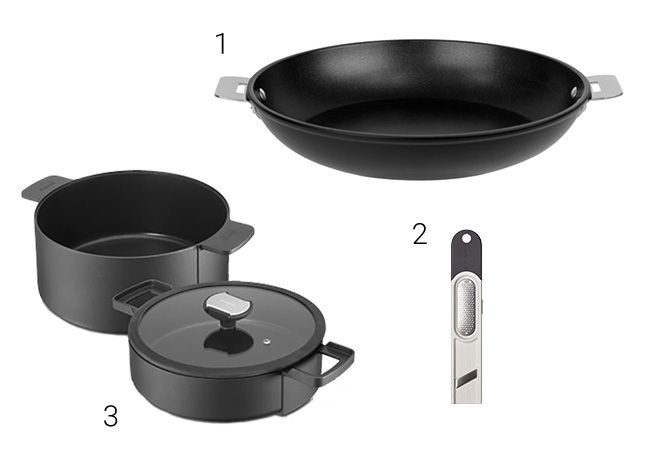 Multifunctional kitchen appliances and pots and pans with removable handles can help save space. 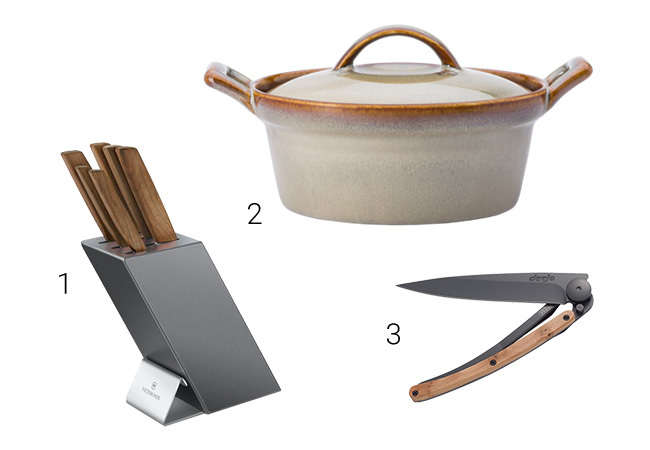 Rough-hewn, rustic alpine kitchens are on the way out. Instead, manufacturers are reinterpreting the farmhouse kitchen – with generous proportions and decidedly straighter edges. There is an emphasis on the interplay of natural materials such as wood, stone and ceramics which radiate warmth. In addition, they offer a pleasant tactile experience and are easy to keep clean: this is nostalgia with a modern twist. Whether you choose work surfaces and doors that are really chunky or cut fine, these new country kitchens will win you over with their sophisticated technology and smart storage solutions. They’re even moving out of the countryside and into urban apartments. 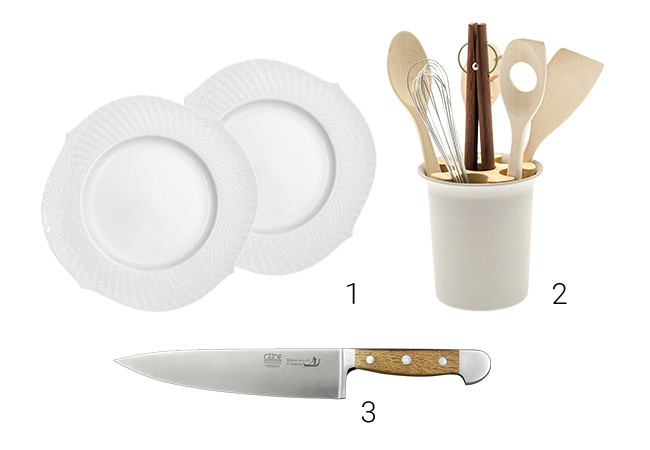 The sensory experience continues with the latest kitchen utensils – knives with fragrant wooden handles and plates made of handcrafted porcelain round out the ‘new rustico’ kitchen nicely. It’s not long since open-plan kitchens were the latest thing. 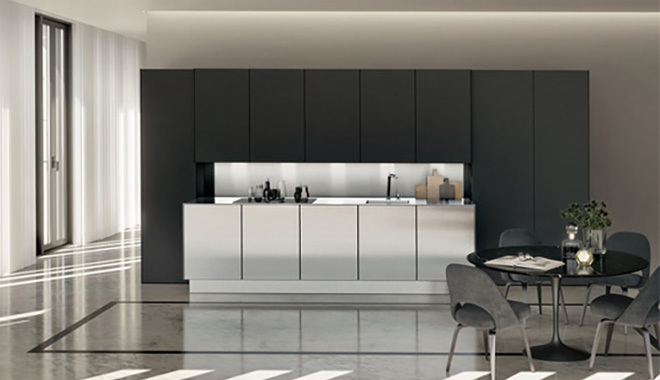 Now kitchens in urban lofts and large houses sport clean lines and sleek fronts without handles, becoming pure works of art which fit seamlessly into the building’s architecture. The kitchen has become a status symbol and, space permitting, is the showpiece in any apartment. Although stainless steel has long been an integral part of large-scale industrial kitchens, it also has a powerful effect when combined with matt epoxy resin surfaces. 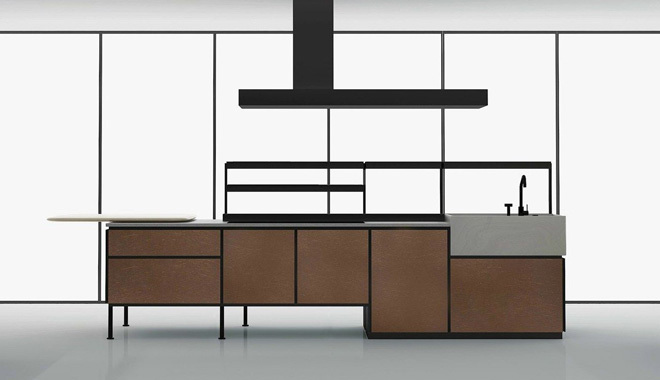 Modern kitchens become cubist creations, behind whose façades a sophisticated inner life often hides. 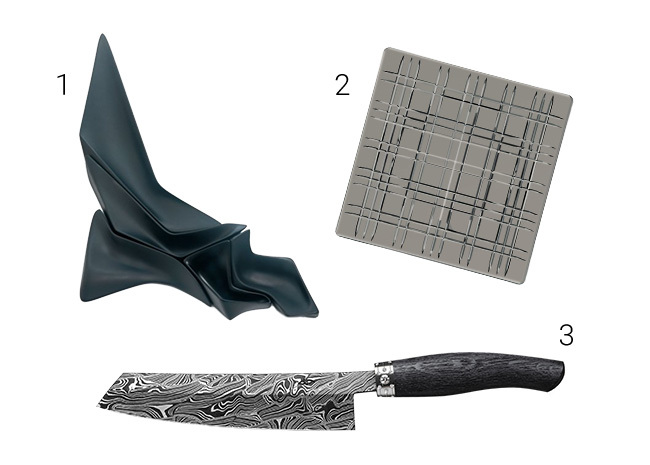 The most frequently used utensils and foodstuffs remain within reach but are concealed in niches so they don’t disrupt the kitchen’s overall appearance. In open-plan living spaces, the traditional division into full-height walls of cabinets and an island unit has become a popular solution. A recent innovation is the disappearance of visible plinths and pedestals, which gives a greater impression of space. 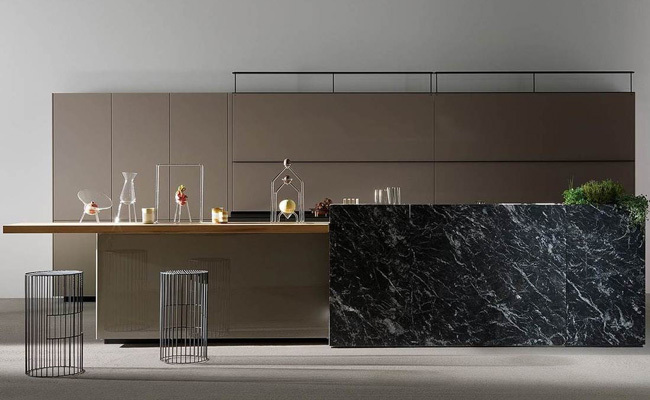 The free-standing island looks like a monolithic monument which forms a harmonious whole with the tall cabinets and wall units. These ensembles are impressive in themselves, and further details bring them to perfection: perhaps a neat joint or a soft-close mechanism to further refine the edges, and decorative accessories to fine-tune the style. The move towards digitalisation also drives developments in kitchens. Besides manufacturers’ own apps, personal assistants like Alexa, or Mykie – who was specifically designed for cooking – can transform your kitchen into a ‘smart kitchen’. Your assistants know what’s in the fridge, what the weather will be like later and how long the lasagne still needs to cook. Smart fridges not only sort foods according to freshness, but also communicate with hubs that can compile shopping lists and share messages with your family. Some ovens that are already on the market can dramatically reduce cooking times by regulating their own temperatures. The key priority, though, for all manufacturers is that these new creations must retain the fun involved in cooking together.